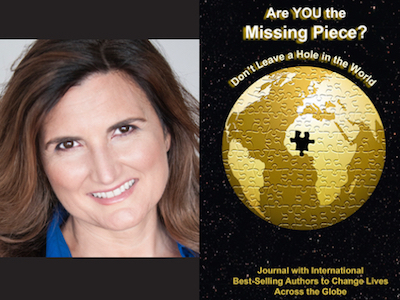 Giselle Shapiro is featured in Expert Insights’ #1 Int’l Bestseller, Are YOU the Missing Piece? Giselle Shapiro is a Visionary, Best-Selling Author, Midlife Women’s Advocate, Speaker, Lifestyle Transformation Expert and Founder of LiteraryLaunch.com, an online global community for midlife women. 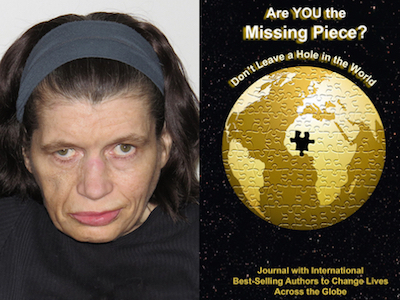 Kalliope Barlis is featured in Expert Insights’ #1 Int’l Bestseller, Are YOU the Missing Piece? Kalliope Barlis, also known as the Phobia Relief Expert, is a Best-Selling Author and Thought Leader utilizing Neuro-Linguistic Programming skills, helping people become better individuals – parents, spouses and workers. We have taken over 1,200 authors to Bestseller! Anastasia Alexander’s Romancing JT will soon be the latest International Bestseller! Anastasia Alexander is renowned for romance works appealing to a large audience. Having been married two times, her main topic is relationships and romance. Learning from real-life experiences, she paints relatable and personable characters that provide depth. Romancing JT provides a first-hand look into the complexities for 21st century love. Romancing JT: Millionaire Romance is a tantalizing tale dealing with Maggie coming to terms with her reality, only to find romance all over again. 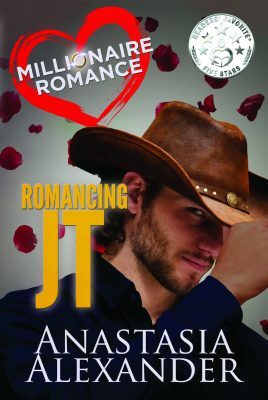 To find work, she signs up on a reality TV show Millionaire Romance, competing with 40 other women to win brooding cowboy JT’s interest. As she deploys her commendable flirting skills to get closer to JT, the story takes surprising twists and turns, ultimately evolving into a transfixing tale of Maggie’s struggle to stay on the show and win. Romancing JT has been nominated as a Readers’ Favorite Five Stars winner. 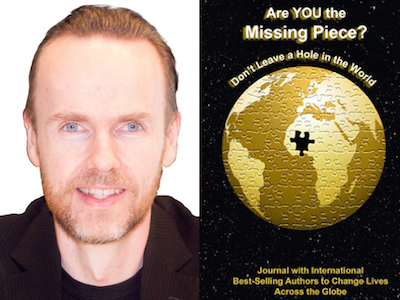 Daniel Hanzelka is featured in Expert Insights’ #1 Int’l Bestseller, Are YOU the Missing Piece? Daniel Hanzelka shows visionary entrepreneurs how to become “ME ONLY” experts by putting together frameworks and systems to help them scale their business to the next level. 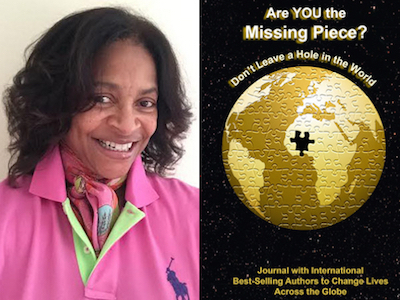 Suzanne Gorrell is featured in Expert Insights’ #1 Int’l Bestseller, Are YOU the Missing Piece? Suzanne Gorrell is a Disability Services expert and holds a B.S. in Disability Services from Southern Illinois University and is the past President of the Partnership for Disability Issues. We have taken over 1,200 authors to Bestseller! Susie Briscoe’s Colour Your Legacy will soon be the latest! Susie Briscoe is the founder of her coaching company, Acer Coaching Associates, Co-Author of several #1 International Bestsellers, an International Business Lifestyle and Master Leadership Coach with Legacy Strategist, along with being the International freelance Master Coach with Nightingale-Conant Corporation and Brian Tracy International. Working proactively every day, Briscoe leaves no doubt that she is truly passionate about helping people become exceptional leaders. Susie is also a retired trustee of The Battersea Dogs and Cats Home, a current Patron of the Church Housing Trust and Ambassador to Action Medical Research. She is also the founder of her own small charitable organization, Acer Foundation for Global Education and Welfare. 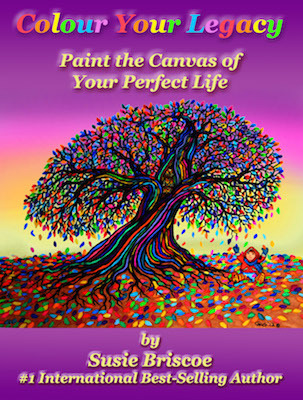 Colour Your Legacy: Paint the Canvas of Your Perfect Life is an in-depth guide on how one can start the work early and be proactive about creating a legacy. Susie shares the importance of legacy and how it affects future generations. She goes into great detail about how simple changes in one’s current life can help them kick-start their own legacy. Her book is a comprehensive and easy to understand guide. Not only does the book help you plan your legacy, it also tackles issues such as self-esteem, health, healing and unlocking accomplishment for an improved quality of life. She describes the perfect legacy as a ‘rainbow legacy’, one that is filled with all the accomplishments, joy, values and beliefs of one’s life. 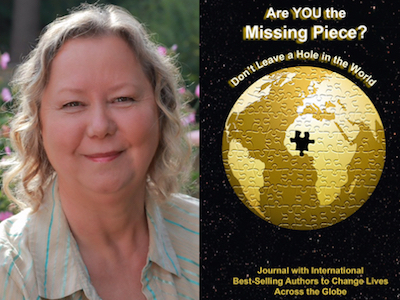 Rita Koivunen is featured in Expert Insights’ #1 Int’l Bestseller, Are YOU the Missing Piece? Rita Koivunen is a #1 International Best-Selling, Award-Winning Author, Inspirational Award-Winning and Published Artist, Colour Therapist and Therapeutic Watercolor Workshop Facilitator.